ENJOY ALL SPORTS ORCHARD LAKE WITH PRIVATE NEIGHBORHOOD LAKE ACCESS W/ BOAT DOCKING, BEACH & PICNIC AREA! Spacious Remodeled 5 Bedroom, 3.5 Bath Home w/ Over 4,000 Sq. Ft. of Living Space and Bloomfield Hills Schools. Beautiful Interior w/ Hardwood Floors. Updated Kitchen w/ Quartz Counter Tops, Custom Cabinetry, Sub Zero & Stainless Appliances, Walk-In Pantry. 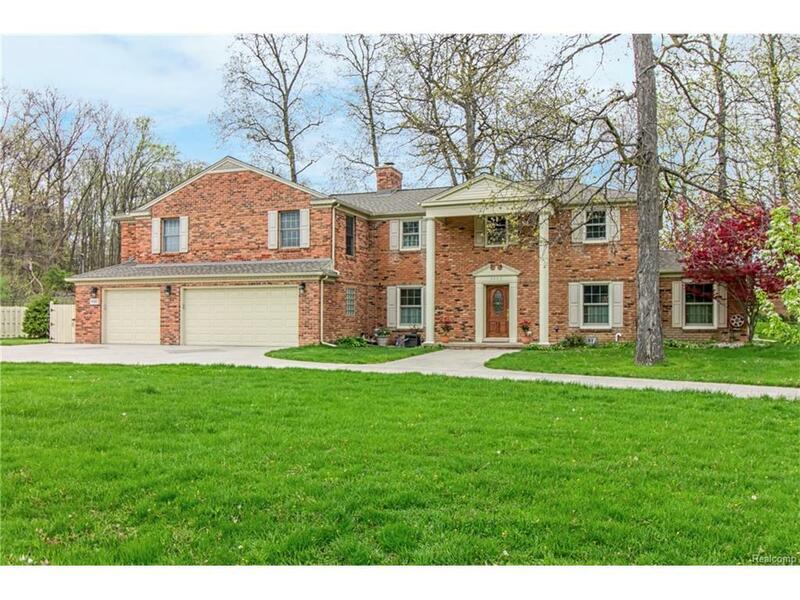 Large Living Room, Hearth Room w/ Brick Fireplace, Formal Dining Room, Screened-In Patio / Sun Room. Family Room w/ Wood Floors & Large Windows Overlooking Serene Backyard. Huge Master Suite w/ Custom Tray Ceiling, Recessed Lights, Sitting Area, His & Her WIC's and Luxurious Bath. 2nd Master Suite and 3 Additional Large Bedrooms. Upper Landing w/ Office Area. Finished LL w/ Large Wet Bar and Rec Room for Entertaining, Workshop, Oversized 3 Car Garage. Beautiful Backyard & Patio, Large Circular Driveway. New Roof in 2015. 1-2 hour notice required for showings. All M & D Approx.